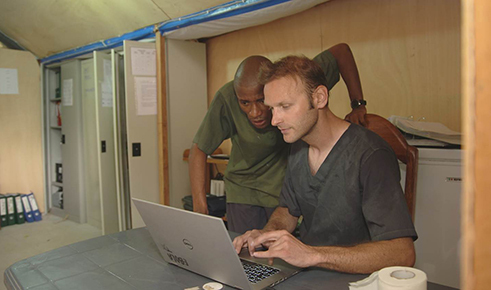 There is no significant association between the dose of anti-Ebola virus antibodies administered and mortality, ITM’s Johan van Griensven and Ebola-Tx researchers wrote in the New England Journal of Medicine. 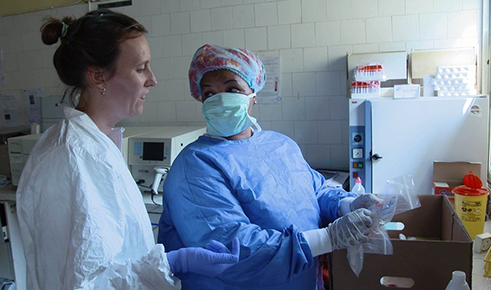 Back in January 2016, researchers of the ITM-led Ebola-Tx consortium reported in New England Journal of Medicine (NEJM) that treatment with convalescent plasma was safe, but efficacy was not demonstrated. However, the concentration of antibodies present in the donor plasma was not known at that time. In the NEJM letter published on 14 November 2016, the researchers looked at whether the dose of antibodies administered to the patients could be associated to the treatment’s efficacy. Patients who received a higher dose of antibodies against the Ebola virus indeed had a lower viral load after the transfusion. However, there unfortunately was no significant association with mortality. Further studies are needed to assess whether efficacy can be improved by further increasing the antibody dose or with concentrated forms of antibodies such as hyperimmune serum. Results of the European Union funded Ebola-Tx trial of the effect of treating Ebola patients with plasma from Ebola survivors appeared on Thursday 7 January 2016 in the New England Journal of Medicine. 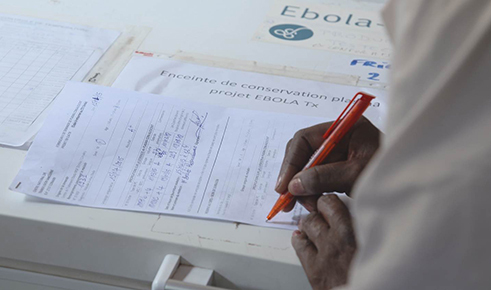 The trial showed that treatment with convalescent plasma during an Ebola virus disease outbreak is feasible, safe to use and acceptable to donors, patients and health workers. 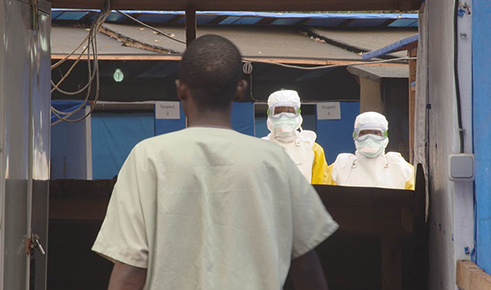 However, the treatment as given in the trial did not significantly improve the survival chances of Ebola patients. 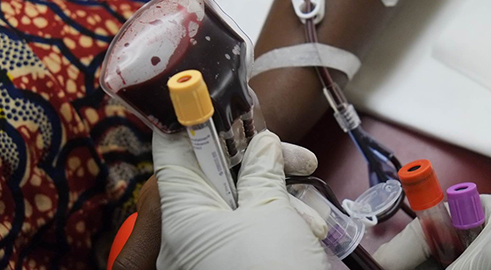 Levels of neutralising antibodies against the Ebola virus in the donor plasma used on the trial could not be determined before administration, as tests to measure these antibodies were not available on site. Samples have been shipped to France for analysis and the researchers expect to present additional findings in the coming months which may indicate whether plasma with high levels of antibodies is more effective. 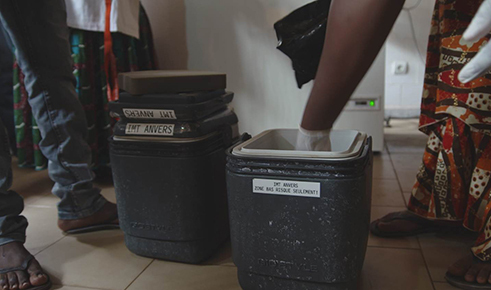 Until the 2014 outbreak, blood products from Ebola survivors had only been used as treatment experimentally in a handful of Ebola patients. 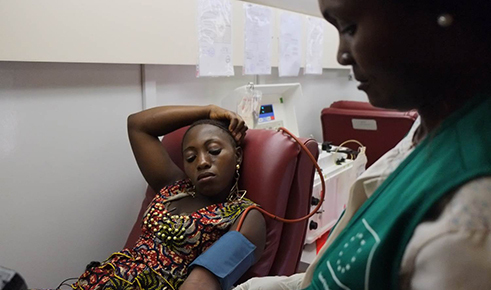 The Ebola-Tx trial, led by the Antwerp Institute of Tropical Medicine (ITM), is the largest ever trial of convalescent plasma for the treatment of Ebola. 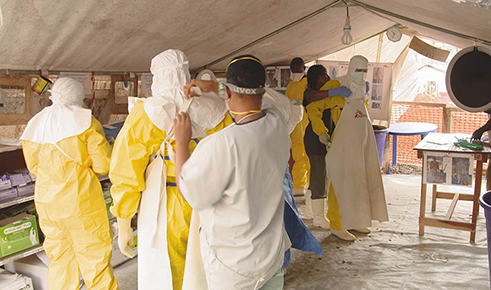 The trial took place between February and July 2015 at the Donka Ebola Treatment Centre in Conakry, Guinea, run by Médecins Sans Frontières (MSF). The survival rate of the 84 patients included in the trial was compared to that of over 400 patients who had been treated in the same centre in the 5 months preceding the trial. “A single administration of 2 units of convalescent plasma does not save lives, but further analysis may reveal whether the amount of antibodies in the donated plasma had an impact on treatment outcomes. 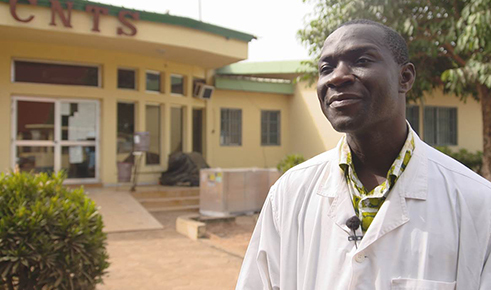 Possibly, a more targeted and concentrated use of plasma could help patients fight off Ebola. Although these results might not be the answer we had hoped for, they provide crucial information about the role of convalescent plasma against this horrible disease. We now also know this kind of intervention can be safely organised in an emergency situation,” said coordinating investigator Prof. Johan van Griensven of ITM Antwerp. 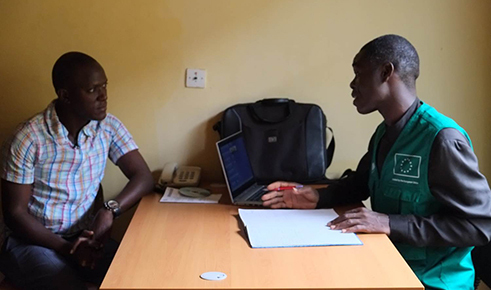 As a lot of patients with Ebola could not be saved, even with supportive care in the Ebola treatment centers, it was very important for MSF to identify treatments that directly targeted the virus. Convalescent plasma was one of the possible interventions prioritized by the World Health Organization (WHO) since it had been used successfully to treat other viral diseases like measles, yellow fever and influenza. “The effect of convalescent plasma against Ebola had yet to be demonstrated. In addition, it was unclear what the ideal dose should be and whether a transfusion with a blood product would be accepted by the patients and the community. 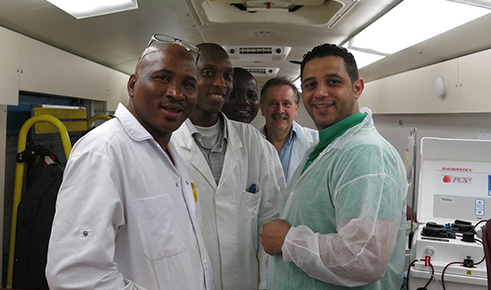 Fortunately many Ebola survivors volunteered to give their plasma and the treatment was very well accepted and safe. 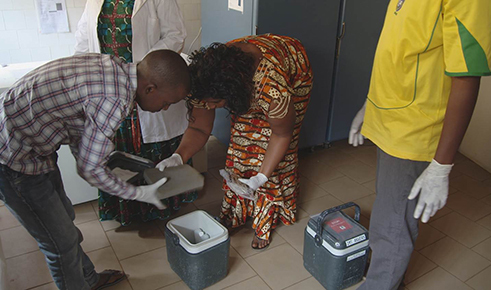 No direct benefit for the patients could be demonstrated but further analysis of blood from donors and patients will hopefully give us indications whether convalescent plasma could still be useful against Ebola disease, either in a different dose and/or in combination with other experimental treatments under investigation, such as Favipiravir for example,” said Dr. Annick Antierens of MSF. “The results announced today by the Ebola-Tx project provide the answer to an important gap in our knowledge about the Ebola virus and are complementary to the existing portfolio of EU–funded projects. 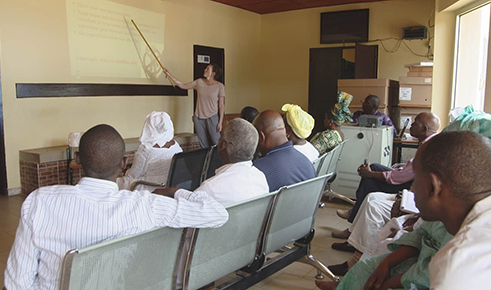 Even though the treatment studied proved to be ineffective in treating Ebola, we strongly encourage specialised journals to keep publishing this type of findings as an explicit example of health research for the benefit of patients worldwide. 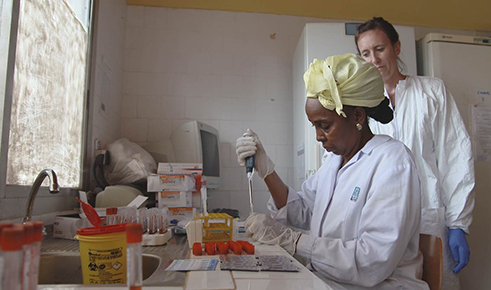 We applaud the consortium’s success to perform a clinical trial under the challenging conditions imposed by the Ebola outbreak. 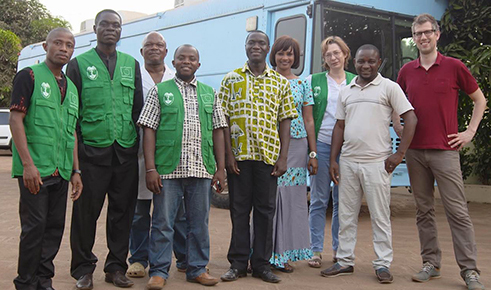 This achievement belongs to the utmost extent to the people of Guinea, the Ebola survivors who came forward to donate blood, and to the local communities that supported this research effort,” said Dr. Ruxandra Draghia-Akli, Director, Health Directorate, European Commission. A total of 102 patients were enrolled in the Ebola-Tx trial. Patients of any age with confirmed Ebola virus disease (including pregnant women) received two units of 200-250ml from different convalescent donors within 48 hours after laboratory confirmed diagnosis, as recommended by the World Health Organization. The levels of Ebola virus neutralising antibodies in the plasma were unknown at the time of administration. Patients presenting to the same treatment centre in the five months preceding the trial served as the comparator group. 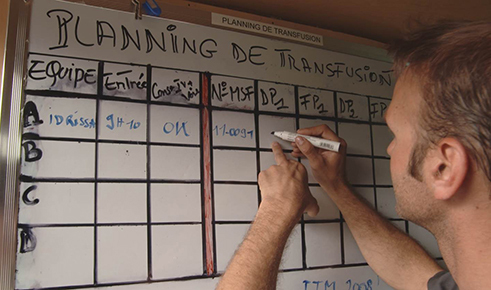 The primary outcome was survival 14 days after transfusion, adjusted for age and the amount of Ebola virus in the blood at diagnosis, excluding deaths occurring up to two days after the diagnosis of Ebola virus disease. A 20% lower mortality in the group treated with convalescent plasma was considered a clinically important difference. A total of 84 patients treated with convalescent plasma and 418 comparator patients werea included in the analysis. Mortality from Day 3 to Day 16 was 31.0% in the CP group and 37.8% in the comparator group; but the difference was reduced to only 2.6% after adjusting for age and viral load. During the course of the study, all newly admitted patients at the Donka centre consented to take part. No severe adverse reactions to convalescent plasma were observed.